Our BCS Issue #200 Subscription Drive last year was so successful, supporting BCS and unlocking a goal to raise our word count for submissions, that we’re having another Subscription Drive this year! UPDATE: our first goal is unlocked! BCS has raised our word-count limit to 12,000 words. Subscribe now, and help us raise it to 14,000 or even 20,000! 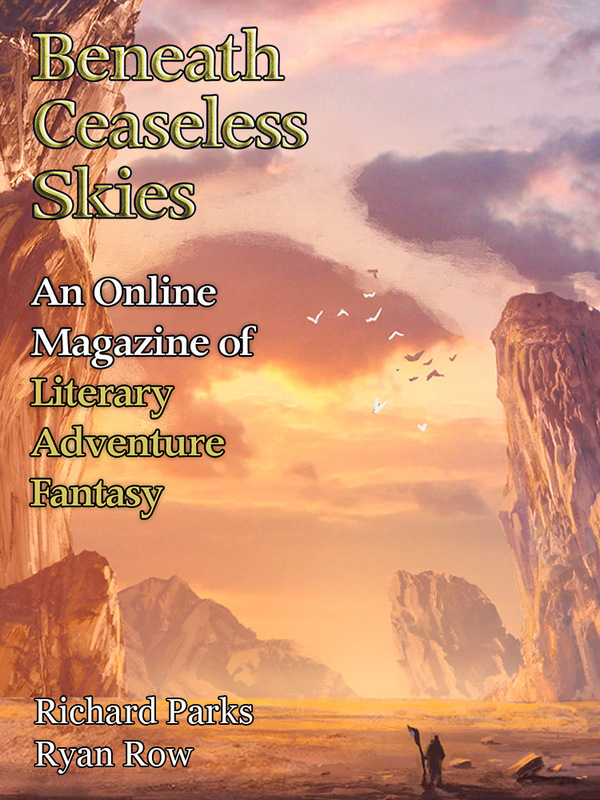 BCS ebook subscriptions, available exclusively at WeightlessBooks.com, are only $15.99 for a full year/26 issues. (That’s less than 30 cents a story!) Subscribers can have issues delivered directly to their Kindle or smart phone, and they get new issues early, a week before the website. 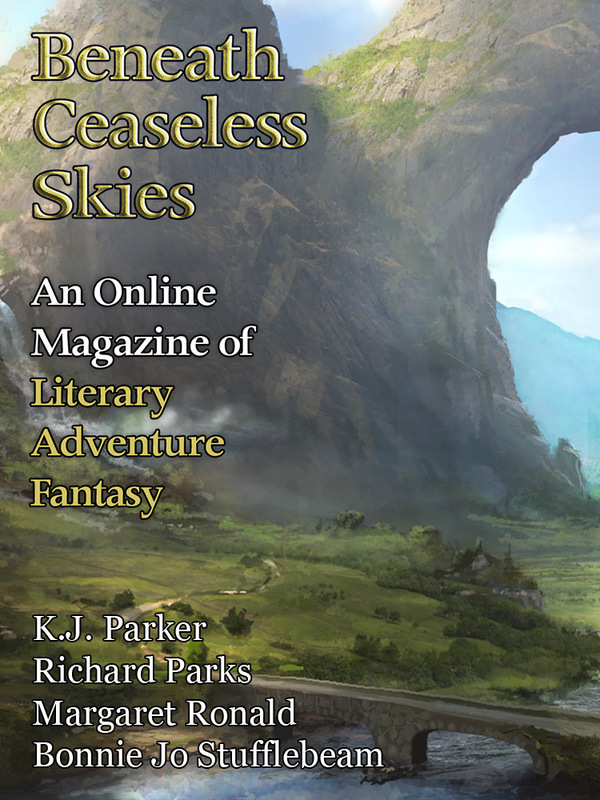 Subscribe now and you’ll get early access to new stories by Richard Parks (the first two stories in a new series), Margaret Ronald, Rebecca Campbell, Marissa Lingen, Stephen Case, Charles Payseur, Ryan Row, and many promising newcomers. 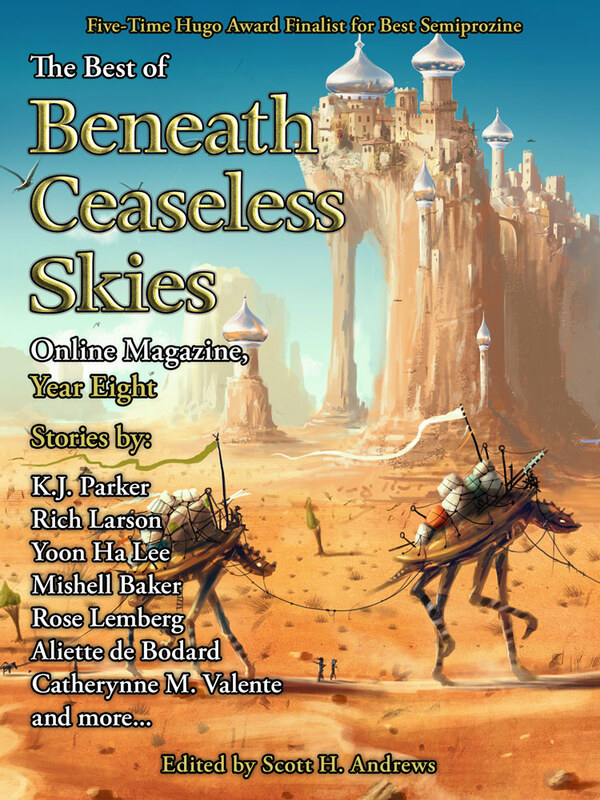 Plus a new Science-Fantasy Month and a new Birdverse novella by Nebula finalist Rose Lemberg, twice as long as any piece BCS has ever published, with a special podcast version of that novella–over four hours long–as episode 200 of the BCS Audio Fiction Podcast. From now until June 2, when you buy a BCS ebook subscription or renew your existing subscription (you can renew at any time), you will help unlock our drive goals. 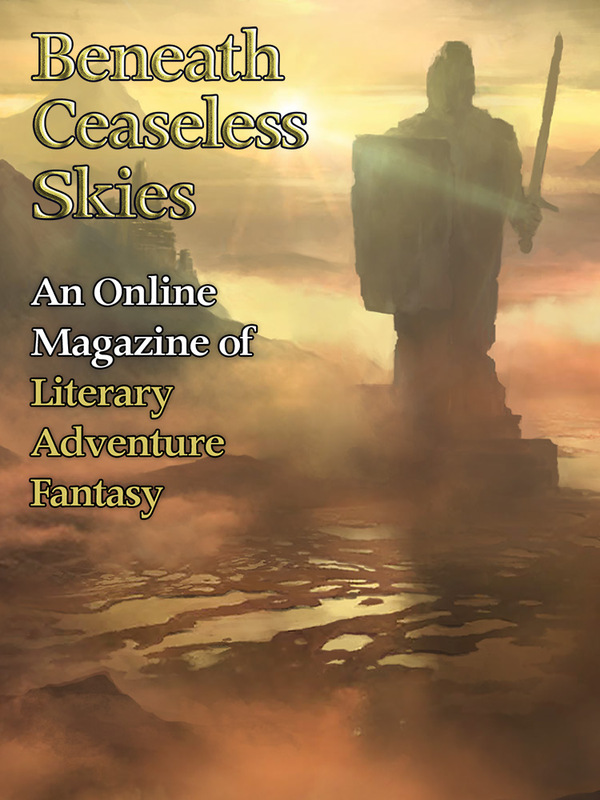 Since BCS #1 in 2008–225 issues, 475 stories!–over a third of our fiction has been novelette-length or longer. Long stories work great for awe-inspiring fantasy worlds, like those in every issue of BCS. Our word-count limit for submissions has always been among the longest of pro-rate online magazines, and last year as a goal unlocked by our subscription drive, we made it even longer: 11,000 words. At 25 new/renewing subscribers, BCS will raise our submissions word-count limit to 12,000 words. At 50 new/renewing subscribers, we’ll raise our word-count limit to 14,000 words. At 100 new/renewing subscribers, we’ll raise it to 16,000 words. At 200 new/renewing subscribers, we’ll raise it to 20,000 words! We have ‘subscription’ donation options where you can donate a small amount every month. From now until June 2, every new monthly donor who signs up, we will count you in our Subscription Drive’s tally of new subscribers, and you will be helping us toward our Drive goals.